03/09/18 — Remains were recovered by law enforcement on March 7, 2018, and have been positively identified as Christina Morris. Please keep Christina’s family and loved ones in your prayers. Search Update: The active search for 23 year-old Christina Morris is being suspended until law enforcement receives further information on her disappearance. THIS IS ONLY A SUSPENSION, AND NOT A TERMINATION OF THE SEARCH. The police investigation into Christina’s disappearance continues. 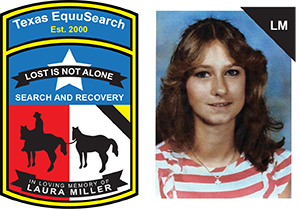 The Texas EquuSearch team will reactivate and return to Plano to search for Christina, when investigators obtain more credible and significant information. We ask that everyone please keep Christina’s family, friends, the Plano Police Department and her whole community in your thoughts and prayers. – Examiner.com: Christina Morris update: Will drones find missing woman? – Plano Star Courier: Where is Christina? Search Update for Sat: The active search for 23 year-old Christina Morris will resume at 8:00 a.m. on Saturday – September 13th 2014. The Command Post will be at the “Legacy Church”, located at 4501 Legacy Dr. near Preston Meadow in Plano, Texas 75024. 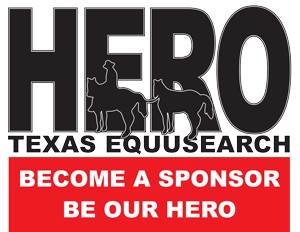 We will be in need of searchers on foot, horse and ATV. If possible; please bring your own food and water. Dress appropriately for weather conditions, and a thick brushy terrain. Your Search Coordinator is Jack Boggess, and his phone number is (713) 826-3869. Thank you for your help. Let’s find Christina. Search Update for Fri: The active search for 23 year-old Christina Morris will resume at 8:00 a.m. on Friday – September 12th 2014. The Command Post will be at the “Legacy Church”, located at 4501 Legacy Dr. near Preston Meadow in Plano, Texas 75024. We will be in need of searchers on foot, horse and ATV. If possible; please bring your own food and water. Dress appropriately for weather conditions, and a thick brushy terrain. Your Search Coordinator is Jack Boggess, and his phone number is (713) 826-3869. Thank you for your help. Let’s find Christina. Search Update for Thurs: The active search for 23 year-old Christina Morris will resume at 8:00 a.m. on Thursday – September 11th 2014. The Command Post will be at the “Legacy Church”, located at 4501 Legacy Dr. near Preston Meadow in Plano, Texas 75024. We will be in need of searchers on foot, horse and ATV. If possible; please bring your own food and water. Dress appropriately for weather conditions, and a thick brushy terrain. Your Search Coordinator is Jack Boggess, and his phone number is (713) 826-3869. Thank you for your help. Let’s find Christina. Search Update for Weds: The active search for 23 year-old Christina Morris will resume at 8:00 a.m. on Wednesday – September 10th 2014. The Command Post will be at the “Legacy Church”, located at 4501 Legacy Dr. near Preston Meadow in Plano, Texas 75024. We will be in need of searchers on foot, horse and ATV. If possible; please bring your own food and water. Dress appropriately for weather condition, and a thick brushy terrain. Your Search Coordinator is Jack Boggess, and his phone number is (713) 826-3869. Thank you for your help. Let’s find Christina. Tues Search: The active search for 23 year-old Christina Morris will begin at 1:00 p.m. on Tuesday – September 9th 2014. The Command Post will be a the “Legacy Church”, located at 4501 Legacy Dr. near Preston Meadow in Plano, Texas 75024. We will be in need of searchers on foot and ATV. If possible; please bring your own food and water. Dress appropriately for weather condition, and a thick brushy terrain. Your Search Coordinator is Jack Boggess, and his phone number is (713) 826-3869. Thank you for your help. Let’s find Christina. Original Post: 23 year-old Christina Morris was last seen in Plano, Texas on August 30th 2014. Christina was wearing a light gray T-shirt, shorts, black sandals and a black full-rim hat. Christina also was carrying a black, pull-sting type backpack, and wearing gold-colored rings on her fingers. If you have seen Christina Morris since her disappearance, if you know or her current whereabouts or if you have information on her disappearance; please contact the Plano Police Department at (972) 424-5678 – or call Texas EquuSearch at (281) 309-9500.